Day 5: December 5, 2016Help make dinner for your family tonight. It will make your family members very happy. We let Addie pick what she wanted to help cook for dinner. She chose pizza! She helped pick out the items needed at the store, and then helped mix the ingredients! 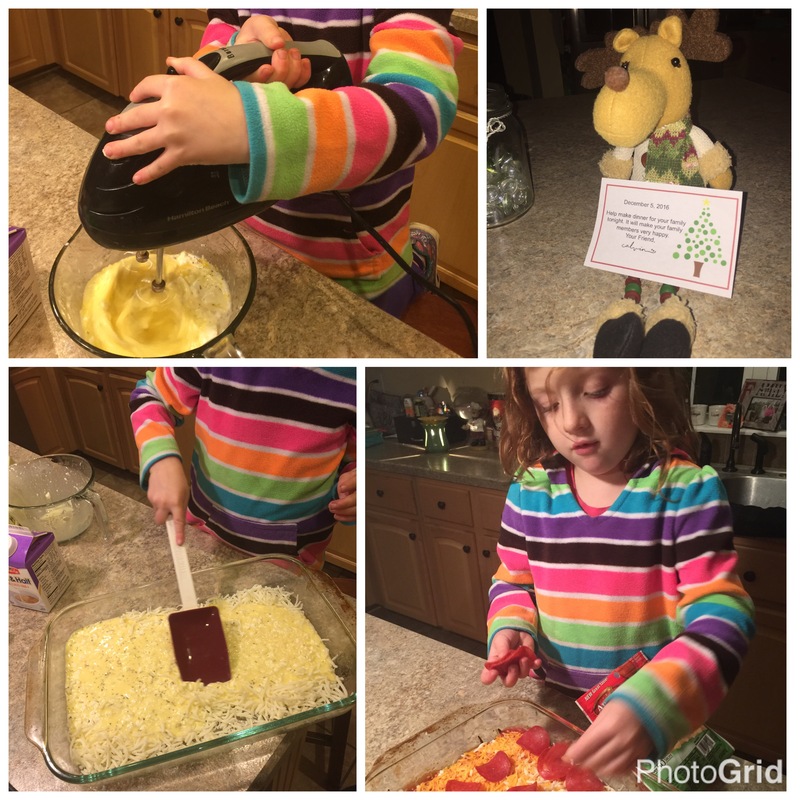 Her favorite part was putting the cheese and pepperoni on top! Of corse eating dinner was a nightlight as well!